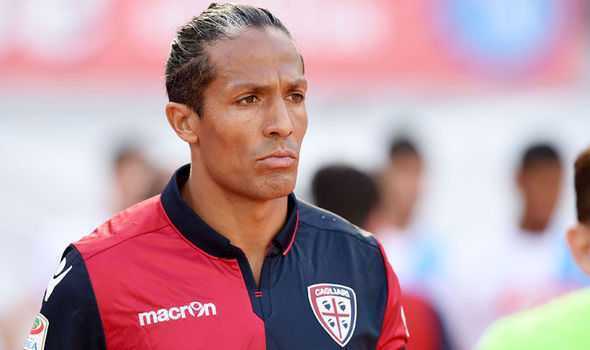 One of the popular professional football Player is Bruno Eduardo Regufe Alves popularly named Bruno Alves who plays for Portugal National Team and Rangers FC. He is well known celebrity. He is famous for contribution in professional life. He is best at Centre Back position. Currently, he is playing in Rangers football club. He had played for Varzim. His Shirt number is 2. He is representing himself in Russia for the World Cup 2018 as a part of the Portugal team by showing his talent to all. He was also the member of UEFA Euro 2016 winning Portuguese team captained by Cristiano Ronaldo. Passionate and enthusiastic player, Bruno Alves was born on 27th November, 1981. He was born and raised in Povoa de Varzim, city of Portugal. His nationality is Portuguese. Talking about his body, his height is 1.87 m. His weight is of 83 Kg. He has balanced body with good health. In 2002, he signed with the senior team after playing for Porto. Then, he was transferred to clubs such as SC Farense, VS Clube, and AEK Football Club. Later, in August 2010, Bruno Alves signed with Russian football club named as Zenit Saint Petersburg with fee of €22 million. In this club, he scored his first Russian Premier League goal for this club on 30 September 2010 against AEK Athens. He was the part of the team that won Primeira Liga and Taca de Portugal for many seasons and also the Russian Premier League title in 2010 and 2011/12 as well as Russian Super Cup in 2011. Then, Alves signed a three year contract on 5th June 2013 with Turkish football club with fee of €5.5 million. Then, he along with his teammates won the Turkish Super Cup in 2014 and Super Lig in 2013/14. On 5th June 2016, he signed a two year contract with the Italian side, Cagliari. He made his first debut for the club SPAL on 15 August 2016.and then he scored his first goal with a freekick against Bologna on 11th September 2016. He currently signed to Scottish Premier League club, Rangers FC on 31st May 2017. He scored his first goal against Dunfermline Athletic on 9 August 2017 for this club. He had represented himself in his national country, Portugal in both senior as well as junior levels in many tournaments. He also represented Portugal in the 2004 summer Olympics at Greece. In June 2007, the Portuguese defender, Alves made his very first international debut for the senior team against Kuwait. He made his very first goal for Portuguese side against Azerbaijan on 13 October 2007. He had also played at major FIFA tournaments like FIFA World Cup in 2010 and 2014 editions, 2017 FIFA Confederations Cup as well as UEFA Euro Championship finals in 2008, 2012 editions and so on. Bruno Alves was also the part of member that won the 2016 UEFA Euro Championships which was held previously in France. His name was also enlisted in the squad of Portugal national team in this World cup 2018 Russia. He had played in the World cup. He is one of the active player in this World cup. He married to Khut Alves and the couple is blessed with a son, Leonardo Alves and a daughter, Adriana Alves. girlfriend They seem to be very happy with each other. The couple makes public appearances together often. There is no any sign of Separation between them. They are living peacefully. Alves has earned huge name, fame and wealth through his football career. His annual salary estimated to be € 1.9 million and salary is to be € 38,000 which he makes from playing for his current club, Parma. His market worth is € 5,00,000.